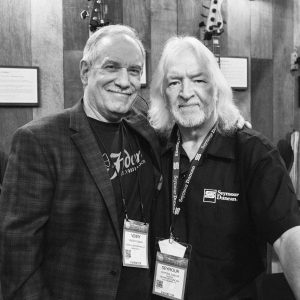 Thank you to all of our friends and associates for making NAMM 2017 a success! Every year we look forward to reconnecting with friends and taking the time to meet you, our customers, to share with you all of our new and exciting products. 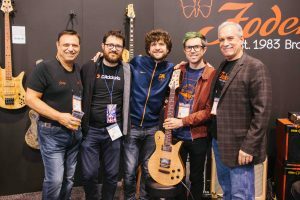 This year’s show was particularly special as Vinny Fodera joined us for the first time in several years to help premier our new electric guitar line. We were overwhelmed and grateful for the rave reviews and positive feedback from all who stopped by our booth to check them out. 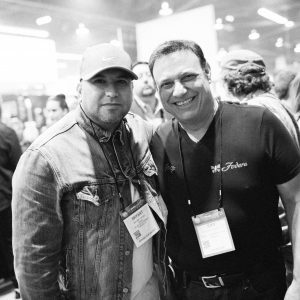 In addition, we had many amazing artists stop by our booth such as Janek Gwizdala, Richard Bona, Hadrien Feraud, Bryant Siono, Michael League, Bob Lanzetti, Tony Grey, and many more. 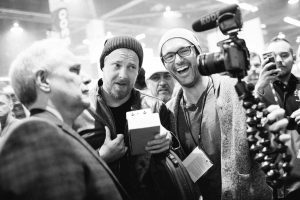 To see our full NAMM 2017 gallery visit our Smugmug gallery by clicking here. This year we also introduced the latest additions to our Standard Classic series, the Monarch-P and Emperor-J Classic. The new Monarch-P and Emperor-J expand upon our Classic series, offering passive configurations and featuring Seymour Duncan pickups providing accurate vintage tone with Fodera playability and construction. 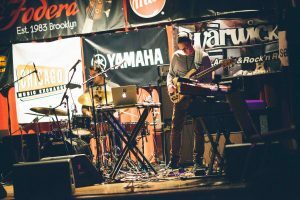 They are built in our Brooklyn shop utilizing the same tone woods and crafted from the same hands as our Custom Line of instruments, providing players with over 30 years of legendary Fodera craftsmanship. 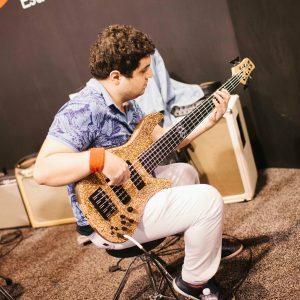 At this year’s show, Fodera artist Janek Gwizdala stopped by our booth to demonstrate these incredible basses. Equipped with a simple loop pedal, Janek layered multiple sounds and grooves with his incredible improvisation, showing the vast flexibility of both the Monarch and Emperor. To learn more about our Monarch-P and Emperor-J Classics, click here. The Monarch-P and Emperor-J are currently available through our dealer network and direct via our e-store. 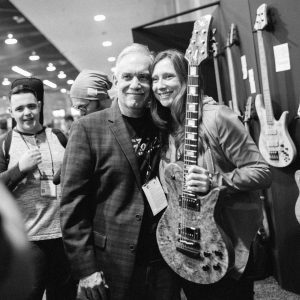 Finally, NAMM 2017 featured the introduction of our new electric guitar line with our Emperor and Imperial guitars. 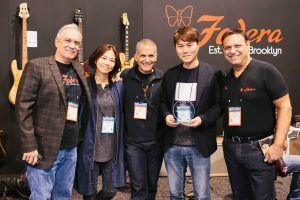 While our basses have been the hallmark of our company for over 30 years, our co-founder Vinny Fodera is in fact an electric guitar player and our first Fodera was a Monarch electric guitar! Using the same materials and crafted by the same men and women who build our renowned basses, the new Emperor and Imperial electric guitars offer the discerning musician all of the old-world craftsmanship, tone, playability and pro-player reliability that we have long been known for. The Emperor Guitar is characterized by its retro-rock look and the classic sparkle of its vintage-voiced single-coil pickups, while the Imperial Guitar combines the classic thick, rich tone of guitars from the ‘50’s updated with striking, modern aesthetics. Below, Vinny, Jason, and Wil take us through some of the details and nuances that make these guitars so special. The Emperor and Imperial guitars are currently available at Chicago Music Exchange, Bass / Guitar San Diego, Martin Music, and Music Zoo or direct by contacting info@fodera.com.